Fertility treatments and agreements for the purposes of preserving fertility down the road have become more commonplace in recent years. When disputes arise regarding who has control of the embryos, Illinois courts will look to contract law to resolve them. In the case of Szafranski v. Dunston, the parties, Jacob and Karla, began dating in 2009. By mid-March 2010, Karla was diagnosed with cancer and learned that her chemotherapy treatments would most likely lead to infertility. In an effort to create pre-embryos (fertilized eggs which have yet to be implanted into the uterus) with Karla’s eggs and Jacob’s sperm, Jacob and Karla entered into a verbal agreement to undergo in vitro fertilization (IVF) together. As a result, 3 pre-embryos were created and frozen. donating the cryopreserved embryos for approved research studies. donating the cryopreserved embryos to another couple in order to attempt pregnancy. Embryos are understood to be your property, with rights of survivorship. 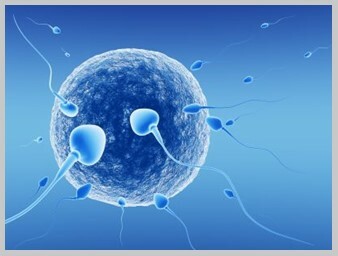 No use can be made of these embryos without the consent of both partners (if applicable). In the event of divorce or dissolution of the marriage or partnership, [the hospital] will abide by the terms of the court decree or settlement agreement regarding the ownership and/or other rights to the embryos. In the event of the death or legal incapacitation of one partner, the other partner will retain decision-making authority regarding the embryos. The parties initialed next to the designation to donate the embryos to another couple. After signing the Informed Consent document, Jacob and Karla thereafter consulted with an attorney. They considered drafting a co-parenting agreement, pursuant to which Jacob would have rights as a parent of any child born of the embryos, or a sperm donor agreement, pursuant to which Jacob would waive any rights he may have. After some back and forth, Karla requested Jacob sign a sperm donor agreement, and Jacob proposed a sperm donor agreement. Ultimately, however, no agreement was ever signed. Karla’s eggs were retrieved before she began chemotherapy. Later, Jacob broke up with Karla, after she had already begun chemotherapy treatments. He subsequently told her that he did not want her to use the pre-embryos. They disagreed over whether Karla could use the pre-embryos, and Jacob sued to stop her from being able to do so. At trial, Karla was awarded sole custody and control of the pre-embryos and the right to use them to have children. Jacob appealed, and on remand the circuit court again found that Jacob and Karla had an oral contract similar to a sperm donor agreement, which allowed Karla to use the pre-embryos without Jacob’s consent. The appellate court again ruled that Jacob and Karla had a valid oral agreement under Illinois contract law. The appellate court also found that the parties’ oral agreement was binding regarding the use and disposition of the pre-embryos, so it controlled over the informed consent signed at the hospital. Ultimately, Karla was again awarded sole custody and control of the pre-embryos, and was entitled, without limitation, to use the pre-embryos to have a child. As evidenced by the years of ongoing litigation in Szyfranski v. Dunston, courts face the complicated task of interpreting and enforcing oral or written contracts, based upon the circumstances in which they were formed. It is important to consult with legal professionals before entering into any type of fertility contract, whether oral or in writing.